These gorgeous hand made, hand painted signs are made by a very talented local Queensland artist. 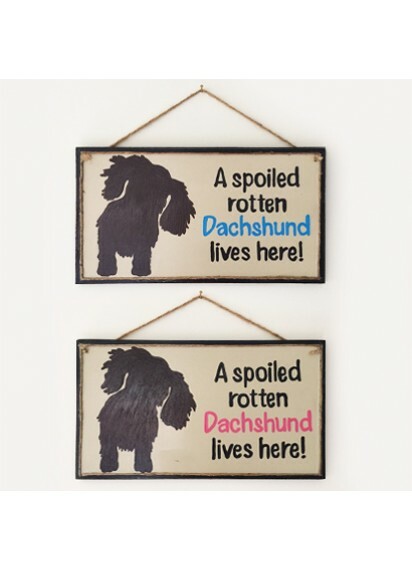 Choose from pink or blue for the word dachshund. 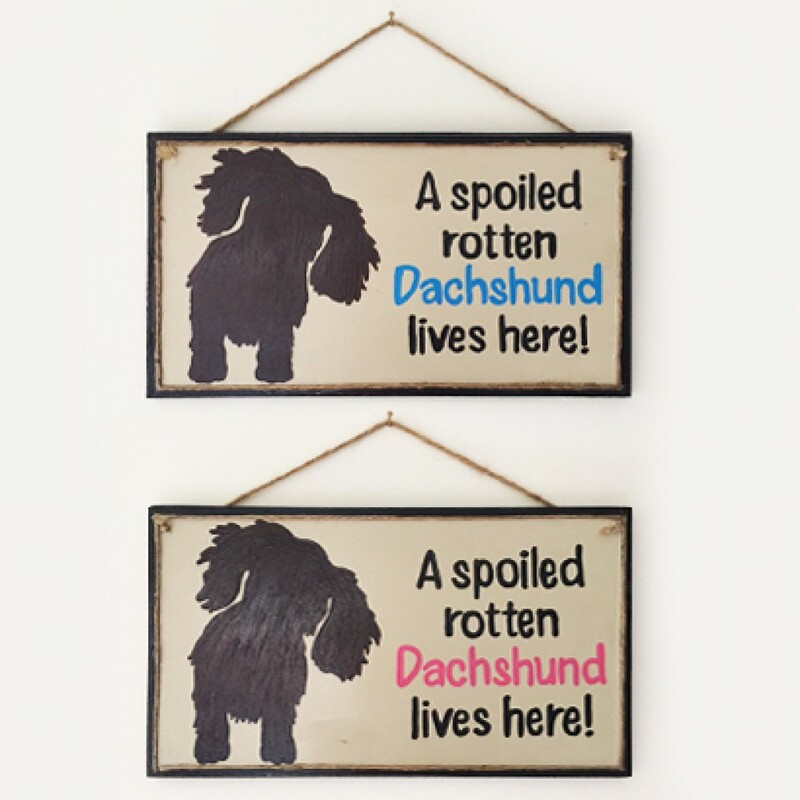 Exclusive to My Dachshund Online - you will not find these anywhere else!